When I was a kid, I wanted nothing more than a dog. A cute squishy-faced little pug to be specific. One that snorts a lot, snores while he sleeps and is too lazy to do anything much but eat and sleep most days. But, what I didn’t realize when I was younger (naturally) is how expensive having a dog is. So if you’re thinking of getting yourself a fine four-legged friend, you best figure out if you can afford a dog in the first place! What Expenses Can You Expect With a Dog? 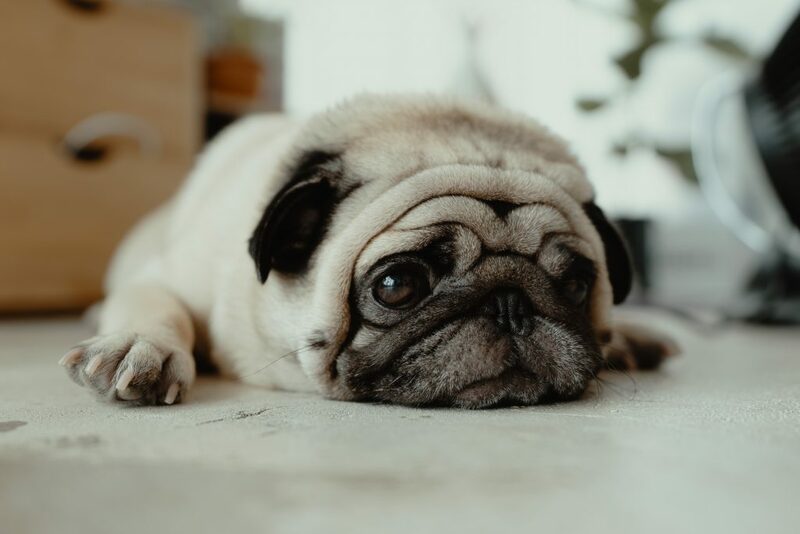 The ending to the opening part of my story is that I did end up with my own adorable pug who sleeps all day and snores in my ear at night… and I also got strapped with all his bills! Which, considering his cost versus emotional reward is minimal for me, but I’ll share them so you can decide yourself. I’m going to classify these expenses into two categories yearly and one-time expenses. Your one-time expenses only really come into factor at the beginning of your pet ownership, usually in the first few months. It’s your monthly expenses you’ll have to pay attention to. Your one-time expenses are going to be the likely most debilitating when it comes to evaluating if you can afford a dog. Your one-time expenses combined with your first year of pet ownership can cost upwards of $1,500. Not including any fees relating to the purchase of a dog, even if you’re adopting (which you definitely should) you still have to pay a fee of some sort — it tends to be around $350 to $450 from my experience. If you’re on the high end of each of these costs, you’re looking at $1,350 for essentially your first month of dog ownership. Plus whatever it costs to grab the dog. Full disclosure: due to my location, the needs of my pup and the products I chose, my first few months of dog ownership cost close to $2,500. While the first few months can be pricey, with a little short-term saving, you can cover it. When it comes to figuring out if you can really afford a dog you need to consider the yearly costs. Yearly costs you may be looking at — note these costs also depend on your location and type of dog. Again, if you’re on the high-end of your yearly pet costs will be around $1,600. My yearly costs are probably somewhere between $1,000 to $1,200. Can You Afford A Dog, Really? Beyond the money, there are a number of other things to consider when it comes to getting a dog — the main one of those being time. Dogs are an amazing companion, especially if you’re like me and enjoy having a cute little ball of fire curled up on your feet while you tap away on your computer. But to properly care for a dog, you need to be willing to dedicate a decent chunk of time their way. Beyond my financial investment, we go on an average of three 10 to 15-minute walks a day, and I dedicate at least an hour (typically broken into smaller chunks) of playtime. So, if you work a 55-hour work week, even if you have all of the money in the world, you probably can’t afford a dog. What are your biggest dog ownership costs? Tell me about them in the comments below! Need Money So You Can Afford a Dog?